Cyber Week sale at Say it with a Sock! Every thanksgiving, millions flock to retail stores to catch Black Friday and Cyber Monday deals. This year, we’re seeing more and more online retailers offer month long promotions to help consumers avoid the holiday rush and skip the lines! Our favorite holiday deal for subscription sock clubs is at Say it with a Sock. We’ve written about their sock of the month club many times before. The reasons we like Say it with a Sock are simple: many styles, different brands, low pricing, customization, and strong customer service. For Cyber Week 2017, Say it With a Sock is offering 20% off all orders. Why do we think that’s a great deal? Because an already low price has come even lower, and now is your chance to get in on a high quality sock subscription. Wacky novelty socks for the holidays at Joy of Socks! When it comes to socks, Scandinavia isn’t the first place that comes to mind as the global headquarters for sock design. However, iZ sock may change that opinion — its socks are designed in Scandinavia. Promising “socks in balance” — combining reason, quality, comfort, and durability. iZ Socks also claims to be the “world’s most boring brand” with socks that are simple black colors and the product that nobody talks about, but everybody uses. Started as a result of a bet in 2014, iZ socks is based in Denmark but also ships to the US and Canada. iZ socks has Bamboo Socks, Cotton Socks, and Woolen Socks. Depending on how you purchase, a pair of socks from iZ socks starts at $5 and goes up from there. iZ Socks is yet to launch a subscription sock of the month club, but they do offer a membership program that gives you a discount on your purchases (similar to a loyalty program). Looking for a taste of Scandinavian feet? Try out iZ socks! Fun Sock Subscription at K. Bell! K. Bell is a sock site dedicated to high quality socks for men and women with fun, theme-oriented sock designs and patterns. Their site is organized based on Lifestyle or Collection of socks, and separated into men’s and women’s categories. 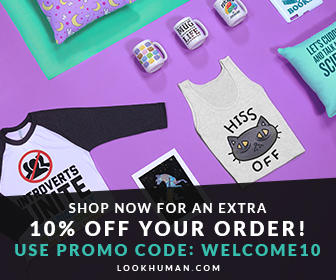 Under “Lifestyle”, you can find Food & Beer Socks, Animal Socks, Sports & Gaming Socks, Unique Patterns, Bold Personalities, and Dog & Cat socks. “Collections” include American Made socks, Holiday, Laurel Burch, Shag, Grumpy Cats, and Groomsmen socks. K. Bell also has a kids sock section featuring Monster and Adventure Socks! If you like what K. Bell has to offer for style and fashion for your feet, you can get a sock subscription with their Sock Club. Each month, K. Bell will send you 3 pairs of socks. You can choose if its for a man or a woman, and then select the theme. For men, you can choose between “Fun Loving”, “Best Dressed at the Office”, and “Born to be Wild”. For Women, you can select between the themes “Cat Woman”, “Classic Style”, and “Fashionably Fun”. You can set your subscription to K. Bell to be monthly, 3-months, or 6-months long. It doesn’t look like K. Bell provides a price discount for longer commitments, so we recommend signing up for the 1-month plan for $19.99 per month (shipping is free) and seeing if you like their subscription box! 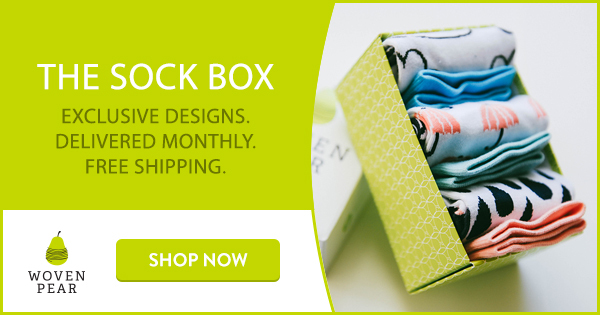 Sock Fancy and Sock Panda are two of the more well known subscription sock websites. In this post, we compare the two exciting businesses on a variety of metrics, including price, quality, customer reviews, and customization. Our goal is to help you choose the sock of the month club that is right for you! 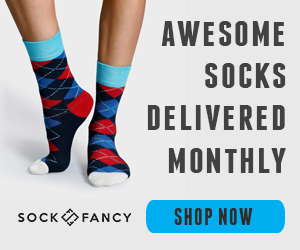 Sock Fancy has three pricing options, based on the number of pairs of socks you want each month. For 1 pair of socks, its $11 per month. For 2 pairs of socks, its $19/month. And for $6 pairs of socks (quite extreme!) its $57 per month. You can pay monthly, or pay all up front and receive 1 month free if you pay for 12 months upfront. Shipping is always free. 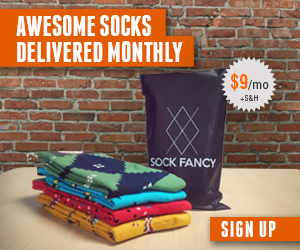 On the other hand, Sock Panda keeps it simple and sends you 1 new pair of socks each month for $12/month. You can save money by paying upfront for six months ($11/mo) or a year ($10/mo). Shipping is always free. Sock Fancy sells its own brand of socks, which are designed in-house by their Atlanta design team. They are “high quality cotton blends” made using a 200-count needle machine. Sock Fancy socks are all “fun” socks — so the designs and color patterns are sure to upgrade your style game. Sock Panda also delivers on the fun and whimsical theme with their 85% Peruvian cotton socks. Although Sock Panda doesn’t appear to have an in-house design team, they do promise to deliver a strong variety of patterns ranging from the more fun and colorful to the subtle. When you sign up for Sock Fancy, you get the option of customizing the size — based on whether the socks are for him or her (or both). Sock Panda offers a bit more flexibility, since you can get men’s socks, women’s socks, “Tween” Socks, or kids socks. Both sock of the month programs allow you to give as a gift. Sock Panda does have a custom sock program, designed more for corporate customers who want their own logo or design of the socks. On TrustPilot, Sock Fancy receives an average rating of 6.8 out of 10 from 123 reviews. Although not available on TrustPilot, Sock Panda receives a glowing review of their July socks on HelloSubscription.com. We favor Sock Fancy’s reviews, since they have made the investment to setup TrustPilot which is a sign that they care about their customers and providing transparent customer feedback. There you go — we hope this is helpful guidance when evaluating Sock Fancy vs. Sock Panda for a sock of the month subscription! Father’s Day arrives every June, and the opportunity to get a creative gift for your Dad each year is both a blessing and a curse! However, look no further than the gift of a sock subscription — a sock of the month club allows your father to keep his feet looking fresh each month with a new pair of socks. Below are some of our favorite posts that provide great options for Father’s Day Sock of the Month Club Options! Say It With a Sock has socks for Father’s Day, including Richer Poorer sock brand. We compared Sock Fancy to Foot Cardigan — loved them both and depending on your father’s style, you can’t go wrong with either! Sign up for Sock Fancy here.